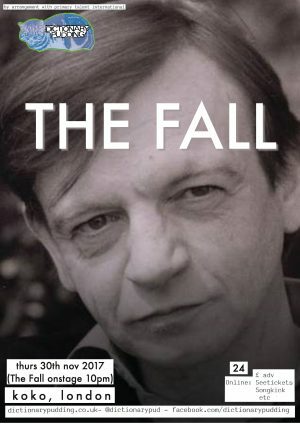 It is with great regret to announce that The Fall have had to cancel the show in Portugal tomorrow (Porto Hard Club, 18th Nov) due to illness. Despite the incredible progress Mark has made after a pretty rough year health-wise, he has now been rendered unfit to fly due to further dental/respiratory problems. This is all sudden (tooth out yesterday, has an abscess) and we thought about risking it and trying to get there, but ultimately decided on the right thing… health first. 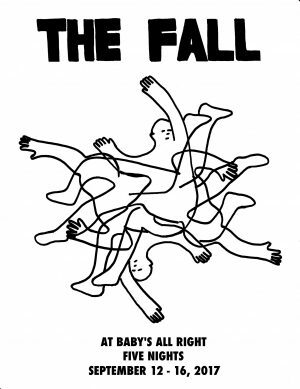 Unfortunately the Porto show just wasn’t meant to be at this current moment in time. 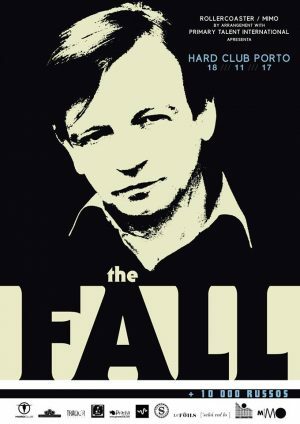 I hope all fans & admirers The Fall can respect this decision, and apologies to anyone going/travelling/involved with the Porto show. 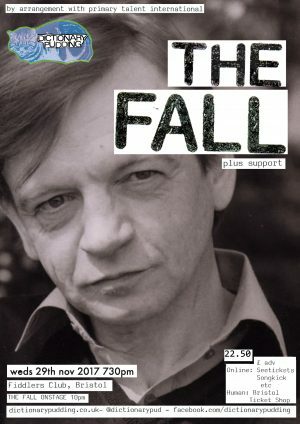 It is with great regret to announce that Mark E. Smith & The Fall have had to cancel all upcoming U.S shows in New York (Baby’s All Right) & Louisville (Cropped Out Festival) due mostly to terrible timing, reality and a mix of bizarre and rare (true to form) medical issues that Mark is currently being treated for. Unfortunately it would be a gamble on his health to fly anywhere over the next couple of months. Mark’s current problems are connected to his throat, mouth/dental & respiratory system… so throwing all the meds together and continuing with the travel/shows would certainly harm any progress that we have made over the past few weeks. 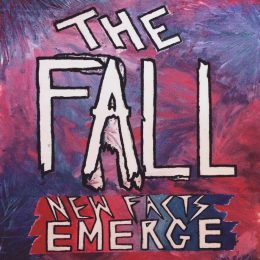 We understand that this is a huge deal for both American/worldwide fans of The Fall and The Fall themselves, Mark & the guys have been really excited and everyone is gutted about the outcome. However, it’s high-time Mark put his health first and that’s what we are gonna do. So here’s the good news… NYC has been rescheduled already and we are gonna arrange another show in Louisville. Both promoters have been incredibly helpful & fantastic in securing The Fall a safe passage to America, and this will still be happening in 2018. 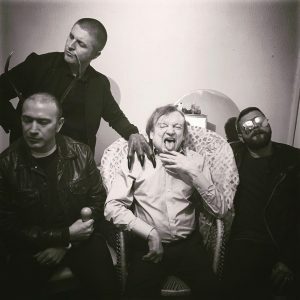 Your Lord and Saviour Markus E. Smith wants to let you all know that even though he can’t play live for a short while, the cabin fever is spitting out a new album already and new music is now (as ever) The Fall’s main focus. The previously sold out show at Glasgow’s Òran Mór on the 4th November has been moved to the higher capacity Queen Margaret Union. Original tickets remain valid, and additional tickets are on sale now via seetickets.com. Tickets currently available in person from the venue or online via piranhacd.com. Tickets on sale now via seetickets.com. Original tickets remain valid. Refunds available from point of purchase. 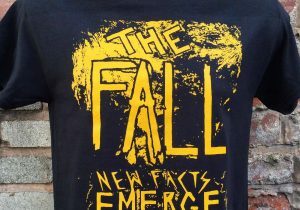 Remaining tickets on sale now via songkick.com, gigantic.com and wegottickets.com.